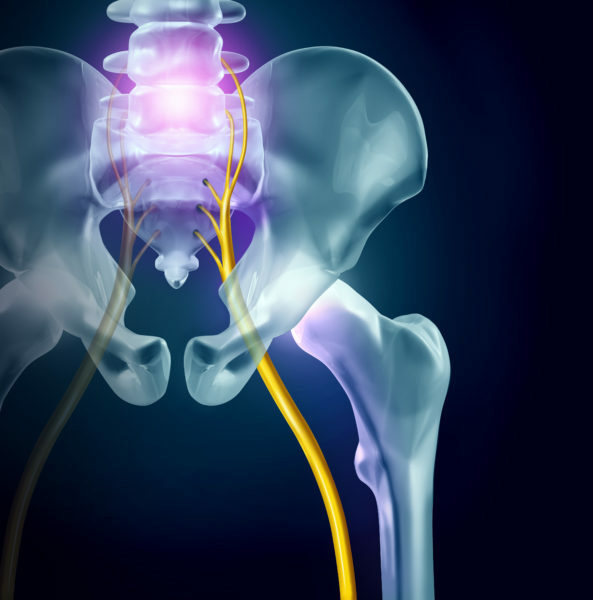 Use this guide to determine whether or not your symptoms are related to sciatica. Sciatica is a painful condition that causes the sciatic nerve to become inflamed, irritated or pinched. This nerve is the largest single nerve in humans. It affects the entire lower half of the body from your lower back to the bottom of your feet. Let’s look at the causes and at how to treat sciatica symptoms so you can get effective pain relief. Sciatic nerve pain radiates down through the lower back. It then goes into the leg and is sometimes expressed most intensely as a pain in the hip and/or knee. Sciatica symptoms vary from person to person and are based on the underlying cause of the condition. Many people feel temporary symptoms for a few hours to a few weeks while others may suffer chronically. Additionally, some symptoms develop slowly and quietly over time. Some people with sciatica may not even realize the cause of the pain until it becomes severe enough to seek medical advice. 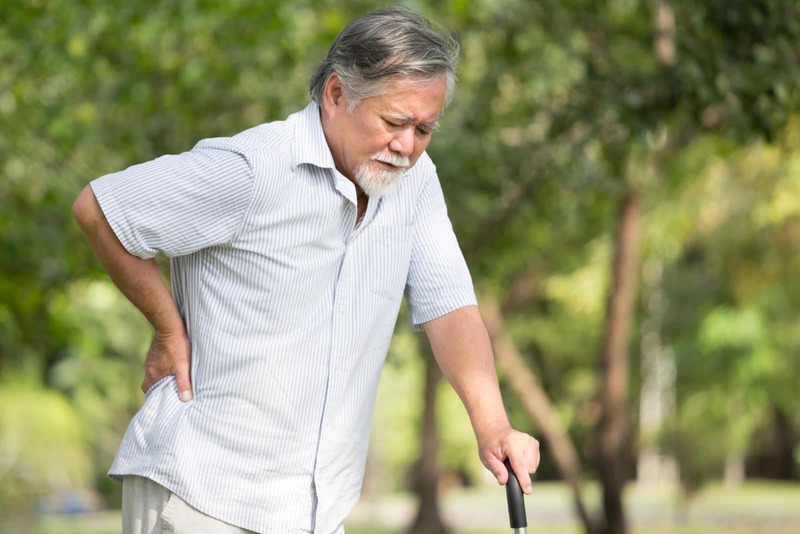 When diagnosing sciatica, your doctor will perform a comprehensive exam. This will likely involve tests that check the alignment of your spine, the strength of your knees and your reflex, motion and extremity sensitivity. Your doctor may use x-rays or other imaging tests to identify the cause of your condition. She may also use these tests to check for spinal disc abnormalities. Once your diagnosis is established, treatment can begin. There is no cure for sciatica. However, there are many standard and alternative treatments to help reduce pain and accelerate healing. Sciatica has, in most cases, a way of healing itself. It’s different from other types of pain because of the bodies’ abilities to “reabsorb the disc material that is causing symptoms.” This means that keeping up with a consistent level of activity is crucial to managing – and reducing – the pain.